In the 1950s, Havana, Cuba was a playground for the rich and famous. Wealthy Americans and Europeans traveled to and from the worldly city, enjoying the beautiful beaches, glamorous nightlife, luxurious hotels, and fine restaurants and casinos. This was the Cuba Conchita Hernandez Hicks called home. This was the Cuba where Conchita and her close-knit family lived a life of luxury, complete with chauffeurs and nannies, palatial homes and sugar plantations, government connections and influential business partners. But this was not a Cuba that would last forever. In 1959, everything changed—for the country and for the Hernandez family. 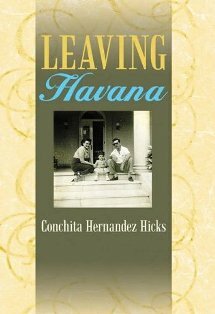 Leaving Havana, Hicks' memoir of her family’s flight from Castro and communism, is more than an historical account of one family’s journey to freedom. It is really an homage to the parents and grandparents who sacrificed everything to make a better life for their children and grandchildren. Hicks, now a Spanish high school teacher in Pelham, Alabama, tried in vain for years to have her parents write down their stories of their lives in Cuba. After their deaths, she decided she must preserve the family history herself, piecing together what she could remember from her parents’ constant remembrances of the “old days” and family photos and papers. The self-published book is undoubtedly great reading for the extended Hernandez family, but it is also interesting for outsiders to get a peek into the lives of the educated, elite Havana families that ruled Cuba before Castro. The book is full of interesting anecdotes about Hicks' entertaining family members. Her parents both personally knew Fidel Castro when they were enrolled at the University of Havana, and her father and favorite uncle, Oscar, actually won a casino in a poker game when the owner did not have enough cash to cover their bet. The humorous accounts are interlaced, though, with the real tragedy of Castro’s take-over of the country and the economic devastation that befell Hicks' parents and grandparents. The tale of their actual departure from Havana is quite harrowing, as her father was detained by Castro’s men while the rest of the family boarded a plane to Miami. 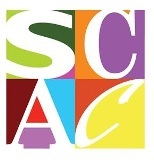 Beth Wilder is Executive Director of The Literacy Council in Birmingham.